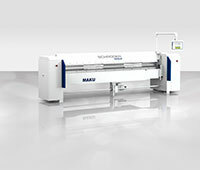 Wessobrunn-Forst (Germany), 4 February 2019 – Hans Schröder Maschinenbau GmbH introduces a new motorized folder: the MAKU. This machine is available in working length 2 520 mm and 3 220 mm and is the perfect entry into motorized thin sheet metal working up to 1.5 mm thickness. 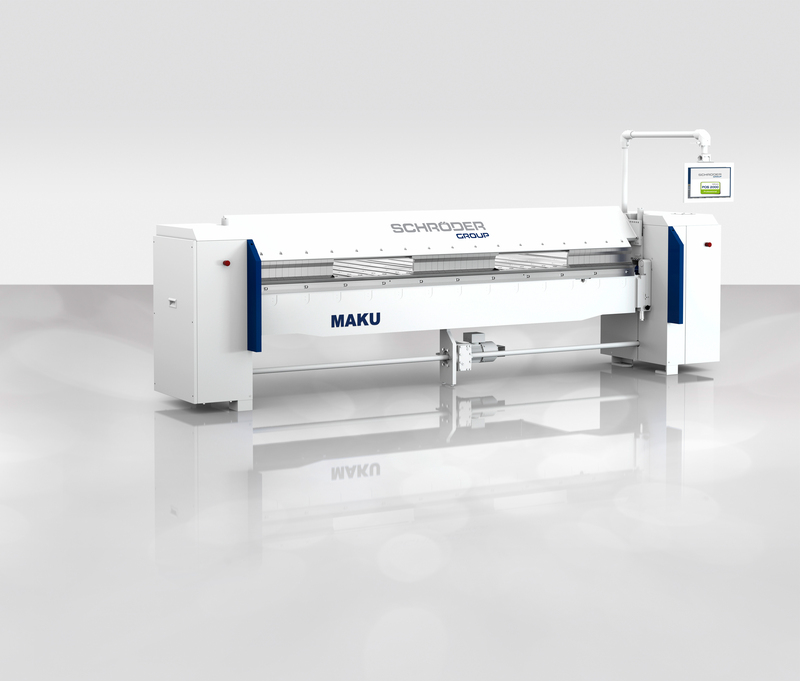 For tinsmith and repair shops the MAKU is an extremely versatile machine – the letter “U” in the name stands for „universal“. It replaces the well-established Schröder MAKV in this field of application. 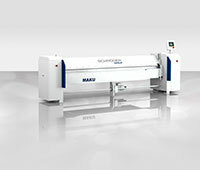 However, this machine has been developed completely independent from its predecessor using state-of-the-art technology. What the experienced tinsmith will appreciate: No other machine on the market offers that much clearance. 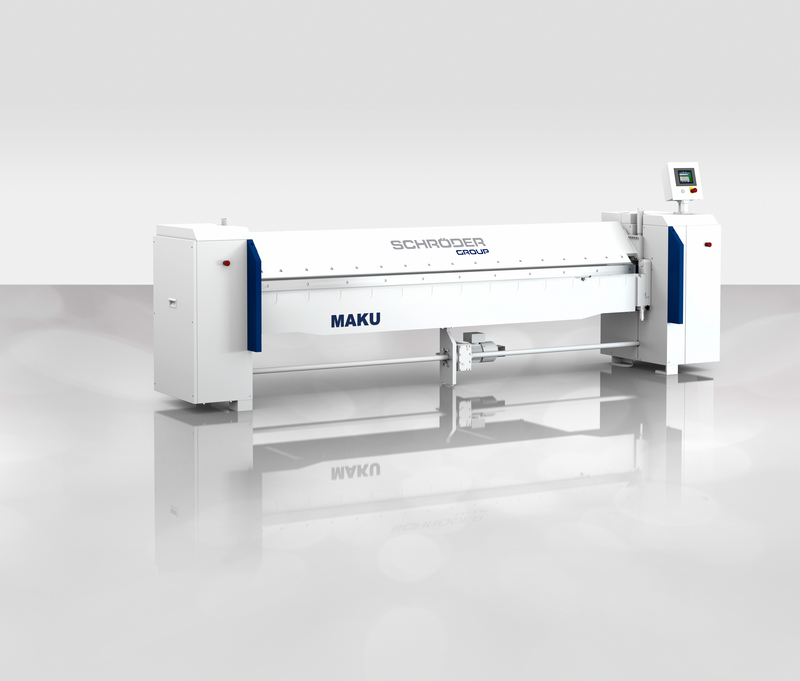 When it comes to features, options and the operation of the MAKU, handicraft businesses will take advantage of 70 years’ experience in mechanical engineering as well as of the leading position that Schröder has in the field of industrial folding machines. Highlights of the MAKU are the very robust and torsion-resistant machine body, the fast and precise drives and the intelligent software. Already in its standard configuration with standard tooling the MAKU is a very versatile machine. The optional available clamping beam tools tinsmith blade, radius blade and various goat foot tools make it even more flexible. In addition to the unprecedented clearances at the clamping and the bottom beam, for the first time, there is now a folding beam available that is shifted back and holds a cranked folding blade, creating even further clearance. Until now this geometry only existed on long folding machines. In its standard, the MAKU is equipped with the easy to program software control nano Touch. Optionally there is also the industrial software control POS 2000 Professional available that further extends the possibilities when operating the machine.